This Vanilla Buttercream Frosting recipe is based on the classic American buttercream frosting, the most basic of four main types of buttercream frosting (including Swiss Meringue, Italian Meringue and French Meringue). The American buttercream frosting recipe does not include eggs, thereby giving it a longer shelf life than the other three main types of buttercream frosting. 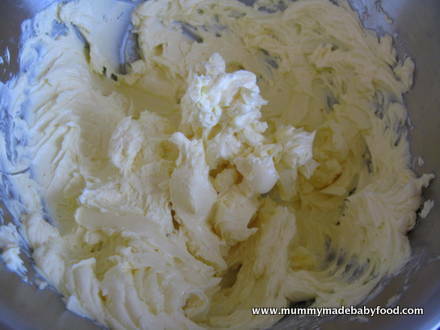 The basic ingredients of American buttercream are butter and icing sugar - sometimes milk or cream is also added. 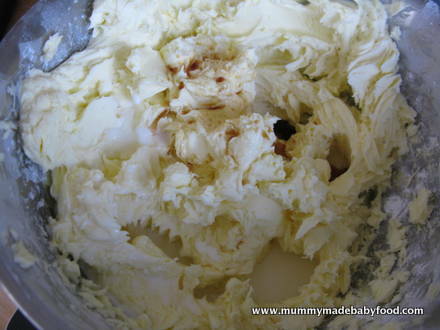 To make vanilla buttercream frosting, vanilla extract is added to the mix. It is important to follow the recipe instructions quite carefully, as this will affect the final texture of the frosting. Often people wonder how much frosting they need to make for a particular cake or batch of cakes. This amount will vary, of course, depending on how high you intend to pile it on! I always prefer to err on the side of too much, as there is nothing more frustrating than running out of frosting before you've completed your cake decorating. Note that it is essential for the butter to be at room temperature before attempting this recipe. This will require some advance planning and taking it out of the fridge a few hours before you need to use it. If you try to 'cheat' by using the microwave to soften the butter, it will melt too much, and you will end of with runny frosting! Note also that sifting the icing sugar first is highly recommended. This avoids any lumpiness in your final frosting. The quantity of sugar used is the key to the texture of the frosting, so if you find that you'd like your frosting to have a stiffer consistency, simply mix in more icing sugar. 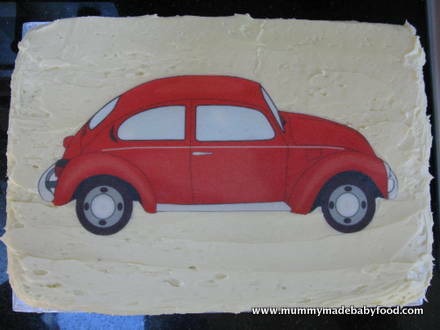 For piping and decorative work, it is easier to work with a stiffer frosting. The inclusion of salt in the recipe below is also optional - this can be used to cut through some of the sweetness, if a lot of sugar is needed to achieve a very stiff frosting. The below recipe yields enough to generously frost a 9"x12" sheet cake, with some extra for piping and modest decoration. 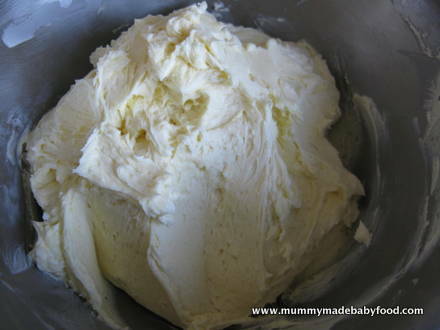 Beat the butter for a few minutes in a large mixing bowl with a hand-held electric mixer on medium speed (or use the paddle attachment of your stand mixer, if you have one), until creamy. 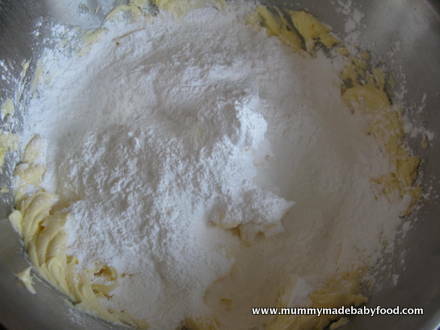 Add 1kg of icing sugar, and turn the mixer on at the lowest speed (so the sugar doesn't blow everywhere), until the sugar has been fully incorporated with the butter. Add the vanilla extract, salt (if using) and milk to the mixture. Beat again for a few more minutes until fully incorporated. If your frosting needs a stiffer consistency, add more icing sugar to the mix, until the desired consistency has been achieved. If it needs to be thinned, add some more milk, 1Tbsp at a time.